In a world of ever-increasing costs, people everywhere are starting to become more mindful of where their money is being spent. Not only this, but people are also starting to ask the question “How efficiently is my money being spent, and is there room for improvement?”. If you’ve ever found yourself (unpleasantly) surprised with a huge energy bill at the beginning of the month, you can probably relate. You wouldn’t be alone either – energy costs have risen an average of 4% nationwide over the last 10 years. Fortunately, the answer to the above question is yes – there is definitely room for improvement. While you can’t control rising energy costs, there are many things you can control to ensure that you aren’t spending more than you need to. One of those things is making sure that your home is performing the way it should be in order to be as energy-efficient as possible. How Does House Wrap Affect My Energy Costs? You’re probably wondering how your choice in house wrap can affect your energy costs, and what you can do to maximize efficiency. It’s simple – make sure that your home isn’t letting outside air in, or allowing in-home air to escape. Your heating & cooling system works hard during the Winter and Summer months where it heats, or cools, the air to keep you comfortable. By letting outside air in (or allowing in-home air to escape), it has to work even harder to maintain a comfortable temperature – thereby significantly upping your energy bill. One of the best ways to ensure you’re getting the most out of your energy is to use a high-quality house wrap that won’t let air in or out. 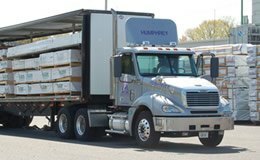 Fortifiber ® (now part of the Henry® company) is one of your best options in a house wrap (also referred to as a Weather-Resistant Barrier). The WeatherSmart™ line by Fortifiber® is designed to protect your home from the problems of air intrusion/extrusion, and save you money on your energy bill in the process. Not all house wraps are created equal, and one of the most important things to look for is something called a “perm” rating, short for “permeability” rating. This is what denotes the house wrap’s ability to “breathe”, or to expel air & moisture as vapor. The higher the perm rating, the more that the wrap will “breathe”. However, it’s important to consider all the jobs of a house wrap. Part of that job is to expel trapped moisture as vapor, and part of that job is also to prevent outside air from getting in & heated or cooled air from getting out. Fortifiber’s WeatherSmart™ house wrap carries a perm rating of 8 perms – this allows it to breathe effectively, while also not being so permeable as to let outside air in. This is extremely important when it comes to reducing your energy costs. While many other brands of house wrap may carry a higher perm rating, they also likely carry more of a tendency to let “bad” air in, and “good” air out. Think letting all of the warm air out on a cold winter day, or letting out all the cool, air-conditioned air that you want to keep in during the summer heat. With WeatherSmart™, the lower perm rating acts as a better barrier for air & moisture – still breathable, but it also allows for better control of airflow to maximize the efficiency of your heating & cooling system. It’s important to note that Fortifiber® also acts, primarily, as a moisture-barrier to keep water & moisture out. These two things can severely damage the wood structure of your home – once allowed in, water & moisture can get trapped and lead to structure-comprising wood rot and health-hazardous mold growth. 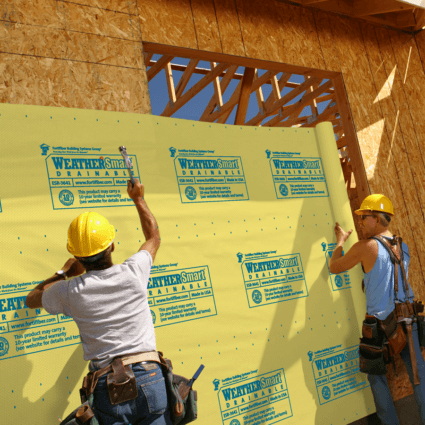 In addition to it’s barrier system, Fortifiber® is designed to let water vapor escape, which ensures that any moisture that get’s behind the walls has a path to escape. This prevents the wood rot & mold development issues, and keeps your home’s integrity protected. 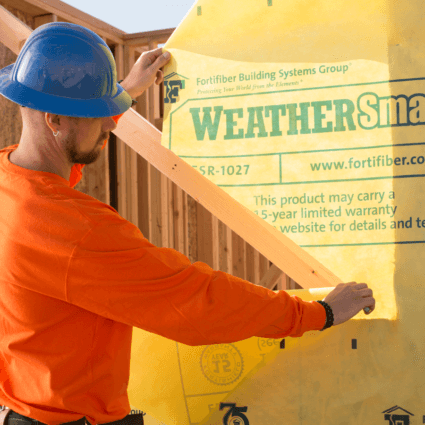 In addition to the WeatherSmart™ line, Fortifiber® does offer a full array of Weather-Resistant Barriers, along with a full line of sealants, flashings, and sheathing tapes to fully complete any job. Fortifiber® backs up their products with an industry-leading Fortishield 15-Year Warranty to ensure satisfaction and performance, which makes it your best option for not only performance, but also for customer service and purchase protection. Now that you know everything you need to about maximizing your home’s efficiency and lowering your energy bill, head to our Fortifiber® page here or get in touch your Holden Humphrey representative today at 800-777-1053 to learn more. 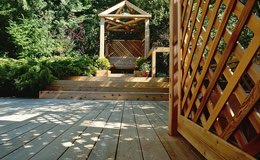 If you are a homeowner or builder, contact your local lumber yard today.